Welcome to the official end of the Alaska Highway (also known as the Alaskan Highway, Alaska-Canadian Highway, or ALCAN Highway). The highway was constructed during World War II for the purpose of connecting the contiguous United States to Alaska through Canada. It begins at the junction with several Canadian highways in Dawson Creek, British Columbia, and runs to Delta Junction, Alaska (which is known for the official end of the highway), via Whitehorse, Yukon. The highway was completed in 1942 at a length of approximately 1,700 miles (2,700 km), as of 2012 it is 1,387 mi (2,232 km) long. The difference in distance is due to constant reconstruction of the highway, which has rerouted and straightened out numerous sections. The highway was opened to the public in 1948. Legendary over many decades for being a rough, challenging drive, the highway is now paved over its entire length. 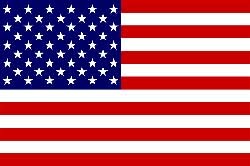 The United States is composed of 50 states, a federal district, five major self-governing territories and various possessions. Forty-eight of the fifty states and the federal district are contiguous and located in North America between Canada and Mexico. The state of Alaska is in the far northwestern corner of North America, with a land border to the east with Canada and separated by the Bering Strait from Russia. 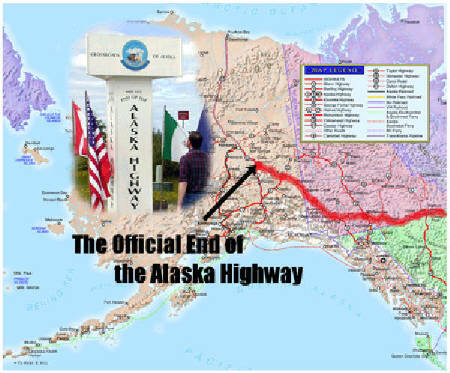 We are connected to the “Lower 48”, as Alaskans refer to the contiguous 48 states, by “The Alcan” (Alaska Canadian Highway). The state of Hawaii is an archipelago in the mid-Pacific. The territories are scattered about the Pacific Ocean and the Caribbean Sea. The United States observes nine time zones. The geography, climate and wildlife of the country are extremely diverse. At 3.8 million square miles (9.8 million km2) and with over 324 million people, the United States is the world’s fourth-largest country by total area (and fourth-largest by land area) and the third-most populous. 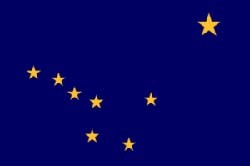 Alaska was admitted to the Union on January 3, 1959 as the 49th state. Alaska is the largest state in the United States in land area at 663,268 square miles (1,717,856 km2), over twice the size of Texas, the next largest state. Alaska is larger than all but 18 sovereign countries. Counting territorial waters, Alaska is larger than the combined area of the next three largest states: Texas, California, and Montana. It is also larger than the combined area of the 22 smallest U.S. states. We are the 3rd least populous and the least densely populated of the 50 U.S. states. Canada’s border with the United States is the world’s longest land border. The majority of the country has a cold or severely cold winter climate, but southerly areas are warm in summer. Canada occupies much of the continent of North America, sharing land borders with the contiguous United States to the south, and the U.S. state of Alaska to the northwest. 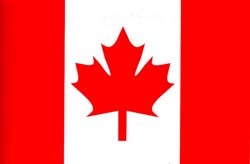 Canada is the second-largest country in the world, after Russia. By land area alone, however, Canada ranks fourth, the difference being due to it having the worlds largest proportion of fresh water lakes.